"I wish for the same thing I've hoped for since the beginning. I wish for a life so brave, so unpredictable, so full of unexpected joys and unforgettable love that no box could possibly contain all my memories. Such a life won't be perfect. It'll be something better. It'll be my own paradise." Lyndsi and I met a few months back at a bonfire on the beach hosted by a mutual friend. It was instant friendship as we fell into conversations of photography, traveling, family, and the outdoors (I am sure Geoff and I would have gotten on just as well but his attention was called to igniting the disheveled christmas tree that would soon become our heat source) None the less, its not every day you stumble upon a couple who's views so strongly align with your own. I knew they were keepers. 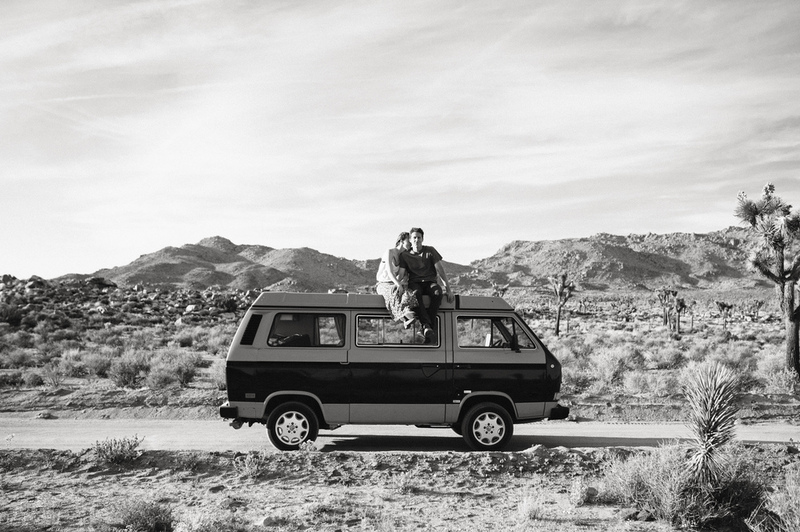 Some time later, upon announcing our travel itinerary, Lyndsi and Geoff jumped on board to meet us in Joshua Tree. 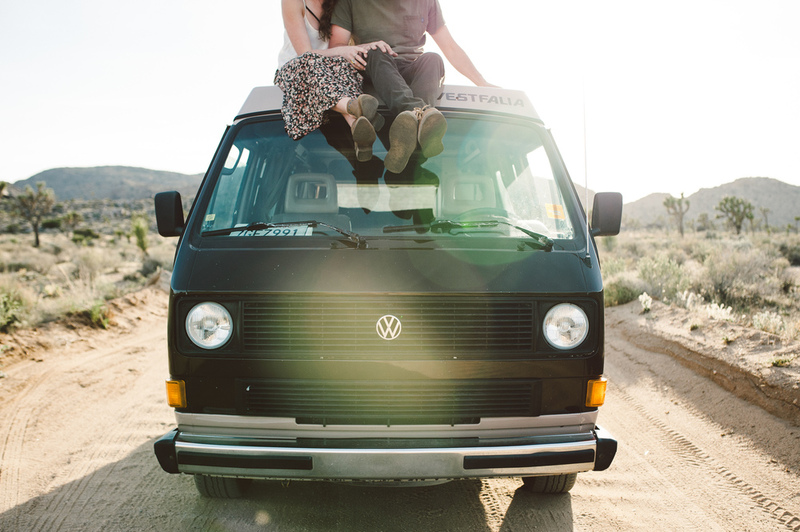 I should add that these two are the proud owners of an '84 VW Westfalia named Oatis. In their spare time they find themselves most often near the ocean or escaping to hidden corners of the country in their home-on-wheels. Needless to say, I was beyond thrilled to have them joining us along our journey. 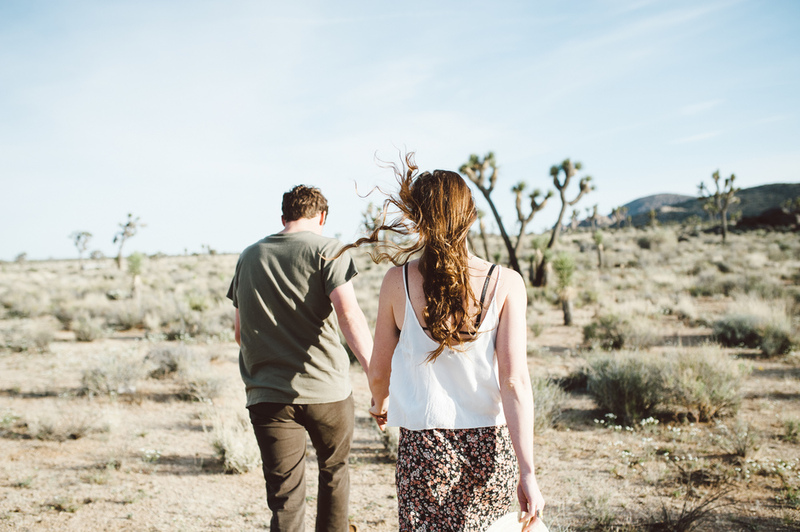 Our stay in Joshua tree was a desert dream. 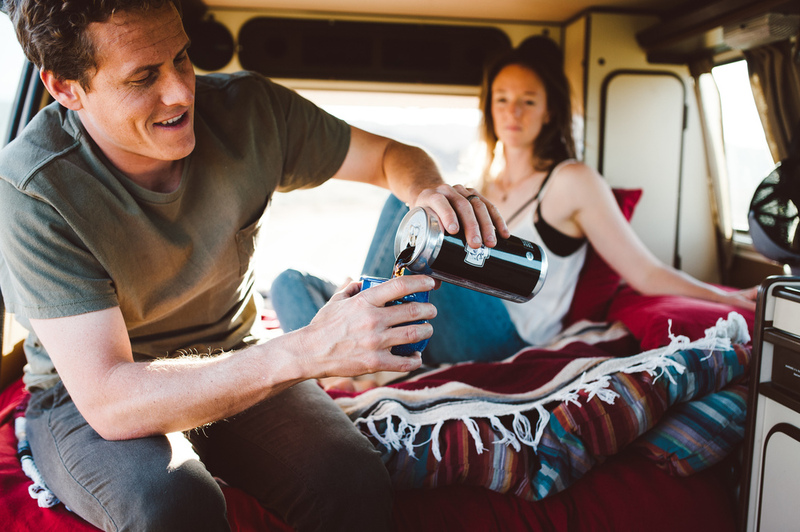 Long hours next to the campfire, a nearly full moon shining above, sharing beers and s'mores, filling the air with conversations of life and adventure. As dusk approached on our first evening I had the pleasure of photographing these two in their true element: road tripping with Oatis. It is intoxicating to spend time amongst people that carry such love and a yearning to experience a life lived to the fullest. 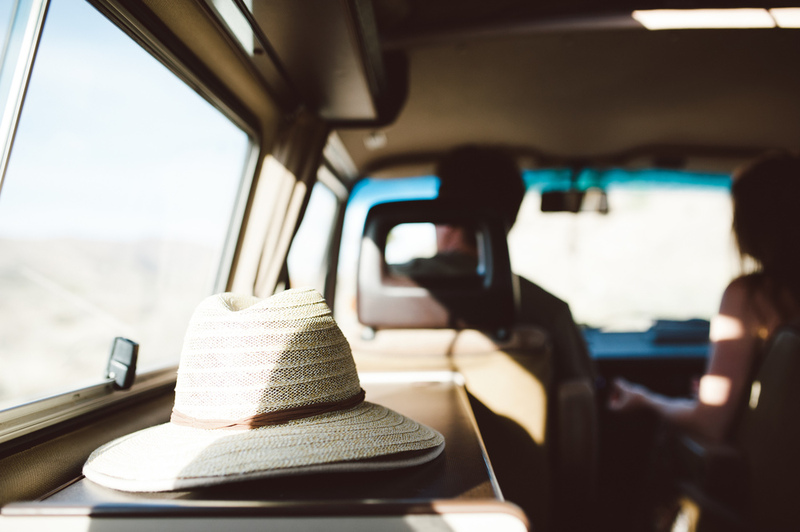 They allow you to think of travel and life on the road with new possibility, reminding you that each of us are capable of cultivating a life we may only dream of living. As we parted ways, driving down a dusty desert road, I was left with an intense feeling of gratitude. Gratitude for Lyndsi and Geoff allowing me into the intimate corners of their world, but also for so willingly joining ours.